Bike secured! And so we locked up our bikes for the night and went to bed. It was not until next morning at 5am that he realised what a terrible decision that was! Now, to engage the lock, all he needed to do was to push down the locking mechanism – no key needed. It was only when he tried to unlock it by accessing the keyhole from the OTHER SIDE, that he realised that the cast wheel’s spoke is in the way, and that there was no way for him to turn the key! Bike secured! But…. how do I unlock it??! 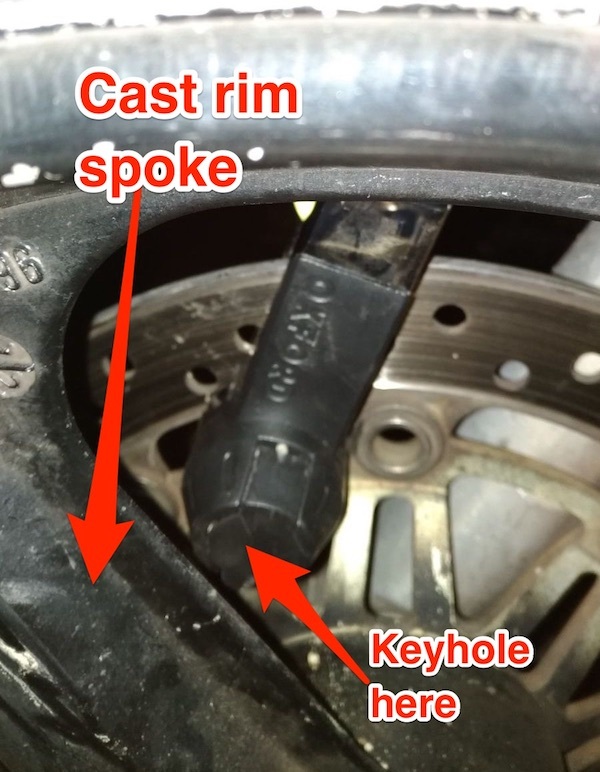 The brake disc turns with the rims, and there is no way we could move it to give enough room for the inserted key to be turned. With a few different sets of hands trying, we eventually gave up after about 1/2 hour of struggling with the lock. Thankfully, this wasn’t an alarmed lock! That would make a really uncomfortable and awkward situation! We were afraid of breaking the key and getting it stuck inside the keyhole. 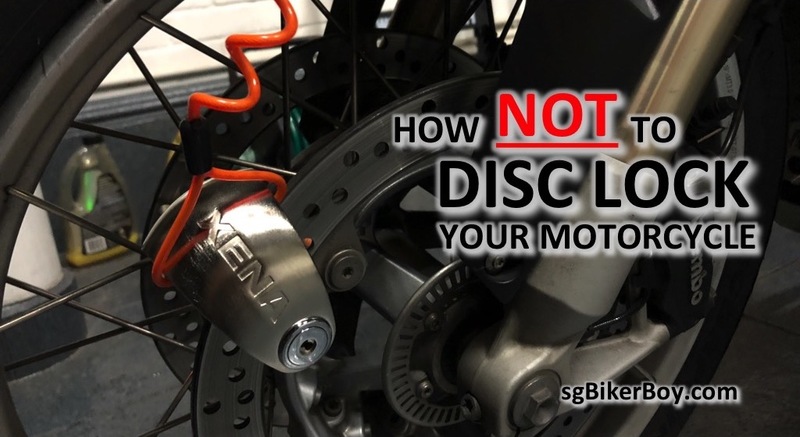 That would mean an expensive brake disc replacement. 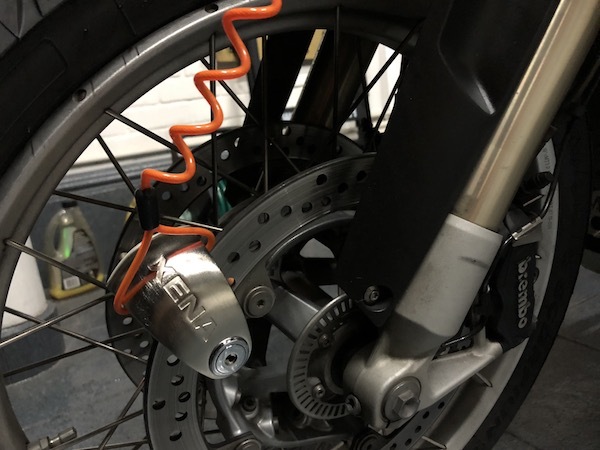 So after staring at the bike, lock, and rims for a long while like trying to solve some puzzle, we eventually came up with a brilliant solution – trim the key so that the rim doesn’t get in the way. But wait! It’s 6am in the morning and non of the shops are opened. And so while the rest of the team rode up the highlands, our poor dear friend was stuck with a SECURED bike and had to wait for the workshops to open. Original key on the RHS. 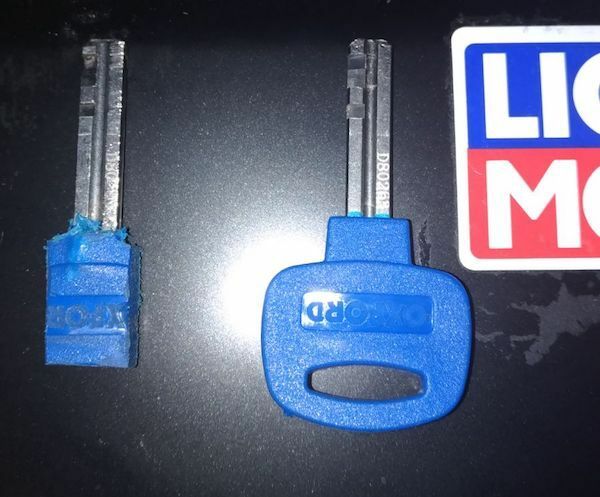 Modified key on the LHS. 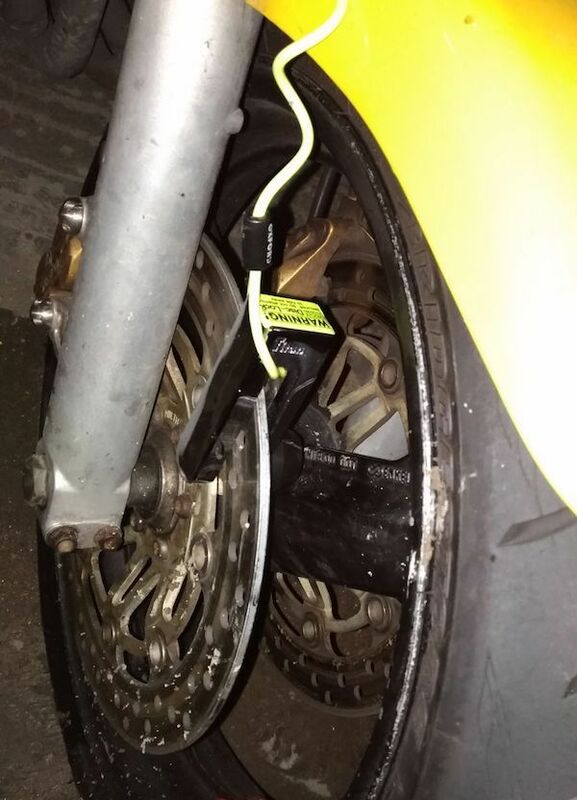 Oh, and while he was battling the lock, he vented his frustration on the bike. 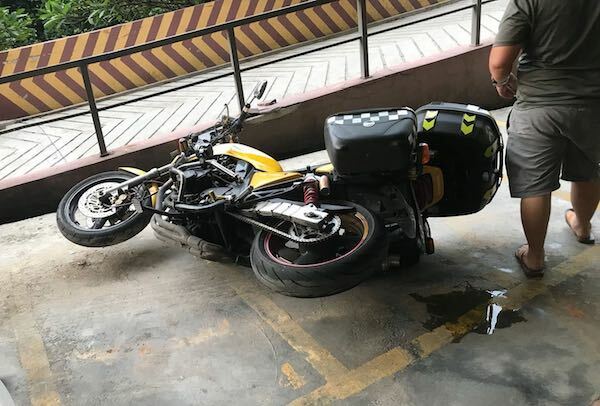 Obviously, the bike wasn’t too happy with his master’s temper. And so our poor friend missed the highlight of the trip – the 1000 Corner Malaysia – riding up the highlands around KL. The safer (though less secure) way to do it – have the keyhole face the outside. Do you think Needle nose plyers would ve helped? I generally stay away from these as I have the fear of losing the key and beint stranded. Just put a bike cover in most places. It wouldn’t. It wasn’t about not being able to grip the key to turn. But rather, the wide plastic flange of the key was prevented from turning (to unlock) by the wheel’s cast spoke. You don’t have to fear losing the key if you have a spare. 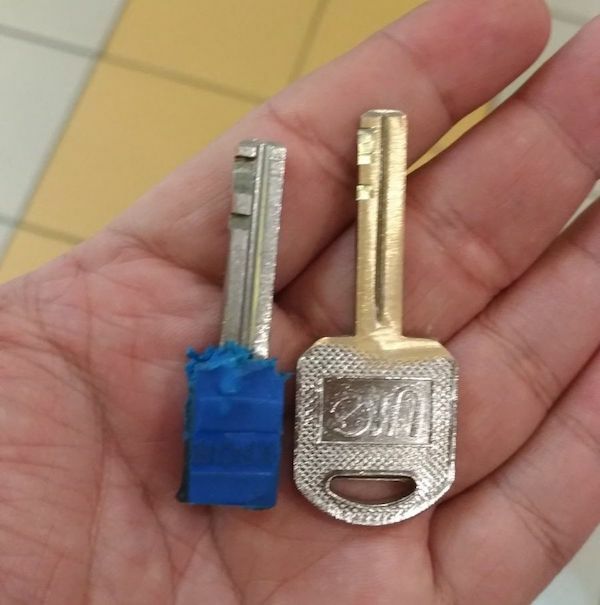 I always bring a spare key for the disc lock and also a spare bike key. If I lose my keys, I’ll just use the spare. I keep the spares together with my passport.